We are a boutique law firm specialising in FCA Defence, FCA Investigations, Police Federation, Regulatory and Private Criminal Litigation cases of all types. We regularly deal with high profile cases which attract significant public interest. We provide a highly personalised service to our clients where our client’s best interests are paramount. Our impressive track record is based on creative thinking, a dynamic attitude and a determination to succeed. 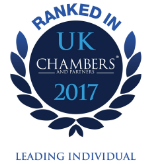 We are highly rated by institutional clients and ranked in the leading legal directory, Chambers and Partners. We serve clients from all over England and Wales from our base in Leeds and are well known for our unwavering commitment to ensuring you have the most robust defence and superior client care available to you. We offer a service that is not standard. We utilise our extensive legal knowledge, vast experience and solid commitment to each client and each individual case to make sure we have explored and investigated all ways of advancing your best interests. We understand that clients rarely have any wish to end up in court and our robust, sensible and pragmatic approach to your case makes sure that going to trial is a last resort for you and us. If your case goes to trial, you can have the utmost confidence in your representation by our highly skilled and tenacious solicitors. We are built on success and have an excellent track record of achieving successful outcomes across all our service areas. Our niche team of specialist solicitors work closely with each other to pull our knowledge and resources so you can be sure the legal team fighting your corner has every base covered.